Slovenia has a small territory with beautiful nature, excellent mild climate and more than good ecological conditions. But these are not the main reasons why foreigners are attracted to buy properties in Slovenia. As we know, in spite of a stable economy, the global crisis, albeit at a minimum, but still affected the local market. At the same time, prices on the local housing have become available to a wider range of customers with small budgets. Slovenia has always enjoyed great popularity among the lovers of luxury and cheap holiday. Most of the property owners in Slovenia are Germans and Italians. Indeed, why should they pay for the same realty on their alpine and Adriatic resorts, when in Slovenia can be bought much cheaper. Your own flat or a house in Slovenia’s resorts allows you to rest much longer and significantly to reduce the cost of expensive hotels and restaurants. When buying cheap flats, houses and studios in Slovenia, foreign owners can not only relax more continuously and economically. After all, property in any major city or any popular resort of this country is able to protect capital from inflation and increase the welfare of its owners. Having a wonderful holiday in their own cozy homes by the sea, in the mountains or on the lake, the owners, if desired, can always take a shelter in the short-term rental - Slovenian legislation does not forbid it! 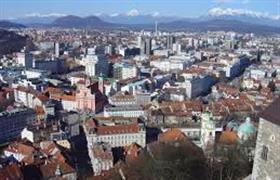 Slovenia is a full member of the European Union and a country with a high living standard. But, compared with other EU countries, foreigners who own property in Slovenia can easily get a residence permit. And for this you need only to invest in real estate as a legal entity or to establish there your own business. Now in Slovenia are very well represented not only residential and commercial properties from the owner and builder, but also an established and operating business!